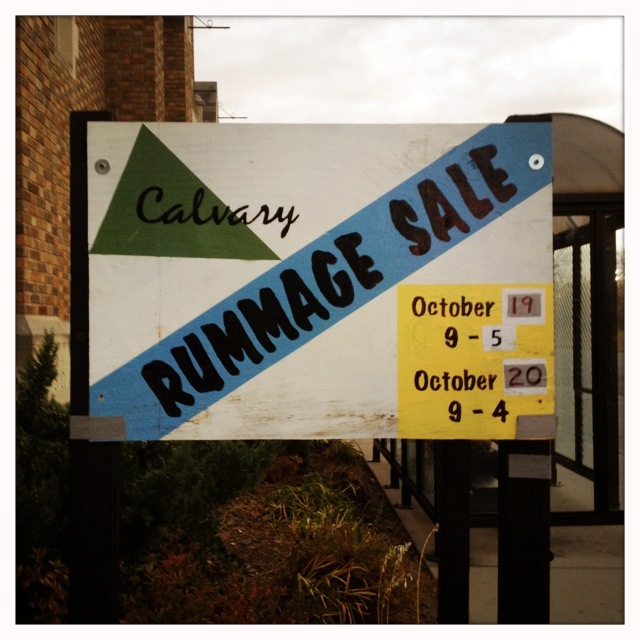 It’s mid-October, which means it’s time for the Lutheran church down the street from me to hold their annual rummage sale. Last year, I made quick pit stop there on my way to work and scored some cute stuff, including a couple vintage dresses, a pair of beautiful gold hoop earrings, some mugs and gifties for Mighty Swell grab bags all for under $8. 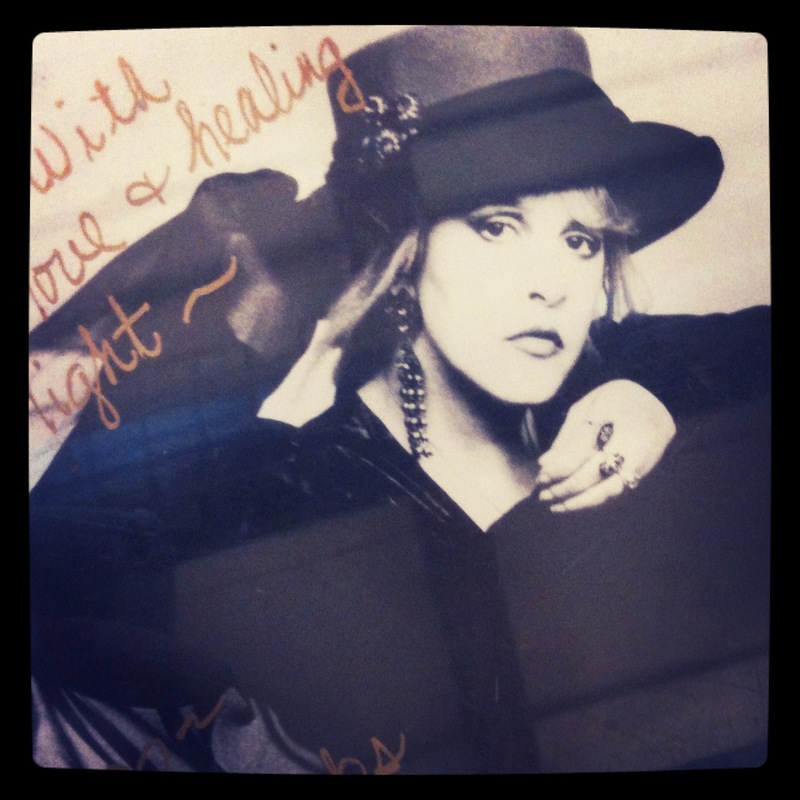 The surprise find was this autographed, framed photo of Stevie Nicks I got for 50 cents. Seeing this reminds me that I still need to thrift a new frame for this baby. Anyhow, go see what’s there for yourself! Here’s what you need to know. Hours: Friday, 9 a.m. to 5 p.m. and Saturday, 9 a.m. to 4 p.m.
On Saturday, from 9:00 a.m. to noon everything is half-price, from noon to 3:00 p.m. it’s $1/bag and $2/box and from 3 – 4:00 p.m. everything that is left is free. Proceeds raised go towards the church’s many community programs, including Beechwood Inc., the Twin Cities Women’s Choir and Crossroads Community Organization. Reasonably priced breakfast goodies, coffee, soup, hot dogs, BBQ and homemade desserts will also be available. If percolator coffee isn’t your thing, swing by Blue Ox Coffee Co before or after the sale. It’s just down the street and they pour one of the best cups of coffee in town. This entry was posted in Uncategorized and tagged church rummage sale, heads up, minneapolis, rummage sale, south minneapolis, thrifting by highplainsthrifter. Bookmark the permalink.